Mahira homes 103 a new affordable housing in Gurgaon sector 103 near Dwarka Expressway. This beautiful project developed in 5.5-acre land and design 2 BHK apartments in three layouts. Besides, Mahira Homes 103 offers impressive amenities and features such as badminton court, swimming pools, basketball court, and yoga center. Moreover, to convert an affordable life in luxury lifestyle, Mahira Homes Sector 103 have gym center, running track, community hall, 50% open area, children area, 24* water back up with power. Also, inside the apartments have marble flooring on the bedroom as well as kitchen, ISI product for electric, distemper paint on the wall and waterproof doors. Pyramid Infratech Pvt. Ltd. is going to introduce their next Affordable Housing Gurgaon in Sector 70A known as Pyramid Fusion Homes. And, this beautiful hosing venture spread in the area of 5.11 acres with 50% open area. Also, the builder composes spacious 1 BHK, and 2 BHK airy apartments in different combination and sizes. Further, the project establishes under the Huda affordable housing scheme at an affordable price. Pyramid Fusion Homes Gurgaon apartment price is very basic Rs 4000 sq ft for the carpet space and Rs 500 for the balcony space. Moreover up to 90% home loan available from all the leading banks. Pyramid infrastructures come with a new residential project under the affordable housing policy. Besides, the project name is Pyramid Elite Sector 86 Gurgaon situated near Dwarka Expressway and NH 8. Further, Pyramid Elite sector 86 Gurgaon has 2 BHK apartments in different types of layouts. Basically, the price of the apartments is Rs. 4000 sq. ft carpet area and Rs. 500 sq. ft balcony area. Above all, inside the apartments have lavish plastic paint on the wall, marble on the floor, waterproof glass, quality ISI electric fitting, and modular kitchen. In fact, outdoor the apartment has a community hall, yoga canter, swimming pools and much more. Ocean Seven Builder (OSB) is bringing a new Affordable Housing Gurgaon “OSB Golf Heights” stretching in an expanse of 5 acres. Moreover, this project will come with a range of features and amenities. Such as a playing area for children, 24X7 Power Backup, Parking Facility, CCTV Security system and much more. Furthermore, OSB Golf Heights Gurgaon has the approval of the Haryana Government. And, it is guaranteed to be provided on time. 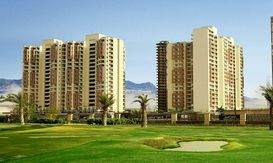 Further, Golf Heights Sector 69 will be one of the best in the list of affordable housing projects in Gurgaon. Additionally, its location has the advantage of being conveniently close to Sohna road and golf course road. This, in turn, gives it a connectivity boost with the rest of the major areas. Also, the plan of payment in OSB 69 comes under the HUDA housing Policy and there will be no extra or hidden charges. Finally, a shopping complex and an upcoming Metro Station are also within reach of the project. Supertech the Valley Gurgaon designed and developed on 5 Acres of prime land, the site location is minutes away from Rajiv Chowk and IFFCO Chowk on NH8. 1, 2, and 3 room lofts composed in a state of harmony with nature. The unlimited conveniences inside the limits set so attentively that one of the best projects on the list of affordable housing projects in Gurgaon. Supertech the Valley Sector 78 Gurgaon associated with Haryana Affordable Housing Policy, 2013. Also, the assignment of condos will be finished by the Draw System. Finally, Draw Results & Date of will be reported by DTCP Haryana. Imperia affordable 37C Affordable Housing Gurgaon, where home buyers buy an apartment at the cheapest price. Basically, the price of apartments depend on carper areas and balcony areas, carpet price is 4000/sq.ft and 500/sq.ft balcony areas. Furthermore, imperia sector 37c Gurgaon offering 2 BHK and 3 BHK affordable home including lots of facilities. Like yoga center, swimming pool, kids areas jogging track with green garden, medical center. Also, giving free car parking, 24/7 water and power backup, zero maintenance charges and much more. In short, imperia affordable covers 5 acres prime land and it’s also sounded by the luxury project and affordable project. Such as ILD greens and ILD grand. Agrante is coming with its first affordable housing Gurgaon, Kavyam. Moreover, the project is being developed on Dwarka Expressway. Furthermore, this housing project will feature many world-class amenities. Also, this project will come at a budget price on a key location of Gurugram. In fact, by situating on Dwarka Expressway, it has seamless connectivity to Delhi and NCR. It is being planned on a sprawling 5 acres on Northern Peripheral Road. Indeed, Agrante Sector 108 Gurgaon features spacious 2 BHK apartments with world-class architecture. To get more details such as price list, payment plan, site plan, floor plan, click here. Suncity Projects is bringing the latest housing venture Suncity Sector 76 in Gurgaon. Moreover, it offers luxurious 1, 2, and 3 BHK apartments under the Affordable Housing Policy by the Haryana Government. Furthermore, the Project boasts of modern infrastructure. And, uses an advanced construction method making the building Earthquake Resistant. In fact, Suncity Sector 76 Gurgaon is in the List of affordable housing projects in Gurgaon. Also, it spans an area of 5 acres which sits on National Highway-8 (NH-8) and is conveniently close to IIFCO Chowk and IGI Airport. Additionally, there’s also an upcoming Metro Station and ISBT just a short distance away. Finally, Suncity Affordable Housing Gurgaon Sector 76 also comes loaded with many conveniences and amenities. Such as 24×7 Electric and water supply, 2 elevators in every building, Clubhouse and many more. Signature Global 79 is a new Affordable Housing Gurgaon have complete their well-planned project that works in different parts of Gurgaon. Moreover, Now Signature Group launched a new project with more different affordable lodging in division 79 and it is nearby NH-8 and is dealing with the residential scheme of Huda. After all, Signature Global Affordable 79 is among the best on the list of affordable housing projects in Gurgaon offers 1, 2, and 3 BHK Residential Apartments at very acceptable prices and proper design. Finally, The draw date and result of this project is announced by the DTCP. Signature Global Sector 95A is a hot property on the list of affordable housing projects in Gurgaon. 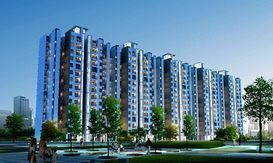 Moreover, it has tremendously completed the project of Signature Global Solera in Sector 107 Gurgaon. And, now they have come with the new project named Signature Global The Roselia Sector 95A. In addition, these homes are situated at a prime location of Gurgaon near Dwarka Expressway. In fact, there will be many conveniences near the project including schools, shopping centers, relieve centers. Besides, Signature Global builds better apartments to give high lifestyle in housing projects. Finally, it is a new township that is well connected to NH-8. Zara Rossa 112 is a wonderfully designed project in the list of Affordable housing projects in Gurgaon. Moreover, it is developed and designed by Zara Group. Furthermore, Zara is a successful name in residential and as well as in commercial projects. Zara introduced Rossa, featuring 9 towers with 15 floors each. And, it also features luxurious 2 and 3 BHK apartments. Also, this project is sprawling on a large area of 5 Acres. Above all, Zara Sector 112 is a great choice as an economical budget price that doesn’t affect a lot on your pocket. Green Court is next Affordable Housing in Gurgaon Sector 90 and developed by Shree Vardhman builders. Every result of this project clearly defines the uniqueness of the Vardhman group and this project is familiar because to complete the commitment on time and have quality in its project. Green Court Sector 90 is developed in various divisions in Kurukshetra, Panipat, Sonipat, and Gurgaon. Vardhman Group is rich in the real estate industry in India and has 7000 satisfied customers in various projects. Green Court affordable flats in Gurgaon is a moderate home having a green area for the residence that helps to breathe well and live green. Mahira Homes Gurgaon Sector 68 is the prime project which is on the top of the list of affordable housing projects in Gurgaon. Moreover, it comes under the Haryana Affordable Housing Scheme. Furthermore, this project is designed on 10 acres of prime land on Sohna Road, Gurgaon. Also, it is near the Southern Peripheral Road (SPR). Indeed, this Affordable Housing Gurgaon will feature luxurious 2 and 3 BHK apartments with modern facilities. 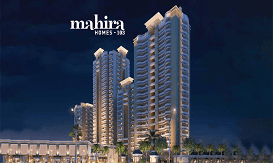 In fact, Mahira Homes Gurgaon has very easy connectivity with many major routes and spots. Such as Golf Extension Road, Southern Peripheral Road (SPR), and IGI Airport. Also, it is nearby World-Class Schools, Hospitals, Malls, and business hubs, etc. Pyramid Urban 67A is on the list of Affordable housing projects in Gurgaon. Moreover, the Pyramid is already dealing with the great success of Pyramid Urban homes sector 70A Gurgaon. Also, the success of Pyramid Urban Homes 2 Sector 86 Gurgaon. And, now it comes with a new affordable housing project named Pyramid Urban Sector 67A. 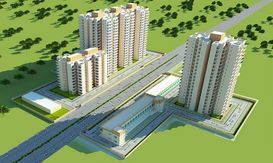 Furthermore, this project has the approval of HUDA Affordable Housing Policy Gurgaon, Haryana. Additionally, the lifestyle of the Pyramid Urban Sector 67A looks like a rising star that features many amenities. In fact, it offers a Clubhouse, parking, Green Park, Jogging track. Also, there will be a Fully-equipped Gym and Spa facility, Automatic Elevator and lift. this affordable housing Gurgaon is designed by a professional designer and fully using a vacant land. AVL Sector 36A is in the List of affordable housing projects in Gurgaon and is planned for living a convenient and peaceful life. Moreover, the license of this project is given by DTCP under the state government of Haryana. AVL 36A is an excellently planned multi-story affordable complex spread in 9 acres of land. And, it is located on National Highway-8 in Gurgaon. Actually, affordable housing in Gurgaon offering luxurious 1 and 2 BHK apartments. Also, there is a 480 number of flats available which are excellently planned for living with modern facilities. AVL 36A Gurgaon is not known for its great construction but it provides a technology that helps construction in a modern way. Signature Global Sector 37D is a newly built project in the List of affordable housing projects in Gurgaon. Moreover, it provides luxurious flats under the state government of Haryana. 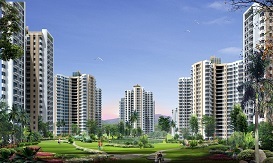 Also, Signature Global Millennia is the 8th project that is launched in Gurgaon under the state government of Haryana. In fact, this Project is among the finest Property for investment in Gurgaon. Actually, The Millennia 37D affordable housing Gurgaon is the latest housing project and is one of the best constructions in Real Estate. Indeed, it offers top class residencies for those who are looking for houses of their own in Gurgaon. Additionally, the Millennia is an affordable project featuring in 10 acres. Also, it comes with the multi-story apartments, dedicated playground and a playroom for children. Pivotal Paradise Haryana affordable housing project offers the best affordable housing projects in Gurgaon that is located in sector 62. All in all, Paradise sector 62 fulfill the dream which we called a home which provides a luxurious residential apartment policy. Paradise produces a good combination of 1, 2, and 3 BHK Apartments and is constructed according to fulfill your needs. Also, Pivotal Paradise 62 HUDA Affordable Housing covers a land of 5.07 acres which is having well topography gardens and in each flat, there is an attached balcony that gives a beautiful view to see outside. Also, this project includes many amenities that provide parking, water supply, Swimming pool, power backup facility. Ninex Sector 37C, a hot property in Gurgaon, under the schedule of Huda affordable 2013 projects. In Ninex RMG Residency Huda in the List of affordable housing projects in Gurgaon is a good option for the resident that found the modern way 1 BHK and 2 BHK Set in the city of Gurugram surely. Also, RMG Residency Sector 37c new launch in Gurgaon and familiar for its affordable price and excellence construction and also implement efforts on time and Ninex 37c in future is going to launch the new project in sector 76 that is nearby Southern peripheral road Gurgaon, Haryana. GLS Gurgaon Sector 81, the latest affordable housing Gurgaon project made by GLS Group. After that, GLS, an exemplary developer creates a name in the real estate business of Gurugram city. Thus, GLS is prepared to dispatch this undertaking with best built 1 and 2 BHK condos. Therefore, GLS Affordable Housing prepared to move to extend in Gurgaon is full with such huge numbers of offices like the pool for swimming, exercise center for wellness, running boards, gardens, yards, modified lifts, multi-level security, 24-hour control reinforcement for the normal region, dependably accessibility of water supply and considerably more. Furthermore, the Haryana Government settles the costs of flat territory, that is 4000/ – PSF cover zone and 500/ – PSF gallery zone. Bedarwal Golf Drive Gurgaon homes is one the best in real estate in India among affordable flats in Gurgaon that is situated in Sector 63, Gurgaon that is approved by the government of Haryana. Eventually, Bedarwal, hopefully, stand up a name in the market of real estate in Gurgaon by their best residential projects in Gurgaon. Moreover, Golf Drive Sector 63a affordable housing Gurgaon flats of 1 and 2 BHK low budget flats in Gurgaon and having a cost price range between 14.35 and 24.35 lacs. In fact, The good result of this project is that it offers the magnificence facility at the best price that you can never be heard before. Tulip Lemon 69 is an affordable housing project Gurgaon Lemon is developed by Tulip Groups approved by Affordable Housing projects of Haryana. Forthwith, the location of this project is in Sector 69 Gurgaon. Moreover, This project covers a land of 5.90 Acres with 65% of open space that is consist of 7 towers with 850 apartment of 1BHK and 2BHK. Presently, Tulip Lemon the best property to buy in Gurgaon proposed the various amenities that are helping in your daily life. Also, Tulip Affordable project is well famous in a market, in Gurgaon Tulip launched 9 projects in which they delivered 6 projects. Pyramid Urban Homes Gurgaon house for sale, a moderate housing under List of affordable housing projects in Gurgaon. Moreover, Pyramid Infratech private constrained is profitably situated at Sector 70A of Gurgaon. Pyramid urban homes are just Huda lodging Gurgaon and this is ideal space if you were looking for the homes. At this instant, Urban Homes Sector 70A Gurgaon affordable housing offers the various modern amenities that reached a new level of customer satisfaction. Indeed, Pyramid Sector 70A covers 10 areas of place that is known for the zone with minimum 65% of open space containing a multi-level story of 1 BHK and 2 BHK apartments. Signature Global Sector 71 is the latest affordable housing project in Gurgaon placed in sector 71 is constrained by the Signature Global PVT LTD designed a flat that is the good comfort for living. Accordingly, Andour Heights Sector 71 Gurgaon covers a land of 6 acres. This project consists of 980 number of 1 BHK, 2BHK, and 3 BHK apartments. Signature Global Andour Heights is a new real estate project in Gurgaon as well as stylish infrastructure that helps to leave a peaceful dwelling and giving you an excellent experience. Indeed, The apartments in this affordable housing Gurgaon are very spacious and well designed. Also, the Size of the apartments in this project is 400 sq.ft. for 1 BHK, 600 sq.ft. for 2 BHK and 646 sq.ft. for 3 BHK. Supertech Basera 79 budget homes in Gurgaon is a highly Interior dispatching new housing among the latest Affordable project. Moreover, the project has spread the area in 200 acres with some amenities as provide a medical facility, food court, swimming pool, club, gym, etc. Furthermore, provides new apartments in Gurgaon and moderate housing provides for you high class living in the most center of Gurgaon. The project having an excellent plan and that comes in 2021 nearby NH-8 and sector 79 is one of new division around them and join with IGI Airport and Dwarka. 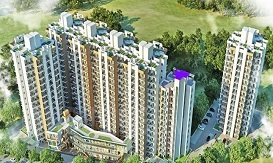 Signature Global Synera Sector 81affordable housing projects Gurgaon at Sector 81 very close to NH8 and it a golden offer to buy the residential property in sector 81. The List of moderate housing is allotted by the result of the draw. It offers you a wonderful residence with a lot of freedom and free space. The 1, 2 BHK flats are constructed under a professional architecture that wondering a beautiful structure. Signature Global Synera gives best apartments in Gurgaon and a friendly arrangement, well design, amenities like theatre and clubhouse and tower infrastructure, build in a greener environment that helps to reduce the carbon. It is located in Sector 81 that is closed to NH-8 and connected to Pataudi Road. Pivotal Deevan Housing homes in Gurgaon comes under the policy of the Affordable Housing Scheme of Gurgaon, Haryana. In addition, It has 14 buildings, 8 towers containing 896 units of 1 and 2 BHK homes with the new implementation of the new moderate lodging project in location 84 Gurgaon that is appearing in progress. In this way, provides cheap flats under affordable housing projects in Gurgaon that runs in nearby close to NH-8, and it is a plan that comes in 2021. Pivotal Sector 84 is run with various amenities as the creche, gym, swimming pool, automatic elevators, a fun zone that wait for an amazing life. Urban Homes 2 Sector 86 is supported by DTCP is represented by Pyramid Infratech Pvt Ltd. Urban Homes started by the Pyramid Infratech Pvt Ltd. under the policy of affordable scheme of 2013. Also, the project is situated at very well known division 86 Gurgaon and well connected to Dwarka Expressway and NH-8. Pyramid Urban Homes 2 Along with that, a project on the list of affordable housing projects in Gurgaon covers a land of 5.2875 acres with 70% of greenish land that consists of G+3 multi-story of 1 and 2 BHK apartment. Pyramid Sector 86 with a lot of features like kids zone, sports club, central green park. Adani Sector 88A constructed by Chromatic Building Solution Pvt. Ltd. introduced by Adani Builder under the policy of affordable lodging Govt. of Haryana. After that, the project is there on the list of affordable housing projects in Gurgaon nearby Dwarka Expressway and Pataudi Road. Above all, moderate residential plans are constructed in a land of 5.56 acres and offer to allow to buy the house in Sector 88A location. This project is the latest affordable housing project in Gurgaon. This is a sure short option for those who are seeking to buy property in Gurgaon. GLS Avenue 51 Sector 92 affordable homes is highly launched projects in affordable housing projects Gurgaon that offers to you buy a paradise and peaceful homes that fulfill the wishes to buy your own home. Due to this, In quality wise, this project is developed in rich manners that provide a simplicity to buy a home in a low budget.GLS Avenue 51Eventually, have a greenery land and it is a stylish mixture of comfort land. The affordable housing project introduces a land of 6.25 acres closely to Dwarka Expressway and offers an excellence apartment of 1, 2, 3 BHK with the well-designed ingredient for the customers. Orchard Avenue Sector 93 comes with the new project named Signature Global Orchard Avenue Sector 93 under the affordable project Gurgaon at division 93. Together with, these affordable housing projects in Gurgaon is in a habitual manner and well designed having space. Forthwith, Signature Global Sector 93 is developed amazingly area in Gurgaon and is nearly at newly Dwarka Expressway and is the most affordable residential project has to build a Huda project goes from 3980 sq.ft. with 1, 2, 3 BHK flats. It will have key localities like Palam Vihar, Dwarka and have accessibility to IGI Airport. ROF Sector 95 is a moderate project in Gurgaon that have a modern housing based on new condition and flats will be allotted at the result of the draw. 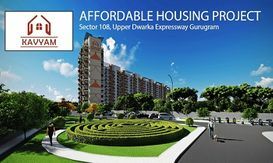 While Ananda Sector 95 Affordable Housing comes under the Huda Affordable scheme and comes on the latest affordable housing project in Gurgaon. At this instant, ROF Ananda Gurgaon property completes the Ramada Hotels projects and now they come with a new project namely ROF Ananda Sector 95 that consist of 1, 2, 3 BHK flats and across they are having land of 5 acres with the cleanly environment. ROF Sector 95 Gurgaon consisted of 6 towers and 14 floors with all modern amenities for the residence. Pareena Laxmi Apartments is an affordable housing project Gurgaon approved by the Haryana affordable scheme 2013 is an exciting venture on the list of affordable housing projects in Gurgaon. Moreover, this project is spread over a land of 5 acres composed of 2 BHK homes with 11 multi-story apartment with 882 units and has a well established 9 towers. 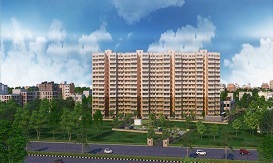 Furthermore, Pareena Sector 99A provides flats in Gurgaon is constructed near the Dwarka Highway and other nearby civil places like retails market, schools, hospitals, malls, reputed schools, the shopping mall is also developed and with this the project has an open area and green park is also add on the apartment. ROF Sector 102 Gurgaon, completed their Ramada hotels and now come with new project name ROF Aalayas Sector 102. In the List of affordable housing projects in Gurgaon under the affordable policy under Ramada Infratech Pvt Ltd. ROF provides low budget flats in Gurgaon. Aalayas is a new upcoming project in Gurgaon and provides the world’s best amenities to its clients. Rof Aalayas now designed 1 BHK and 2 BHK modern flats of area 301 sq.ft. to 535 sq.ft. This affordable housing project has some civil location nearby like the market, shopping centers, malls, schools, bank, clinics, public transport, the educational institute that helps in daily life. Suncity Avenue 102 is a premium residential plan located at sector 102 in Gurgaon and project represented by Suncity Builder under the scheme of residential housing policy on Dwarka Highway in Gurgaon by DTCP. This project has an expensive area of 5 acres land and this project is for the whole dream to buy a house at affordable prices with smartly constructed and project offers a 2 BHK flats of size up to 632 sq.ft. Suncity Sector 102 latest affordable housing project in Gurgaon host a lot of facility as an included greenery central park, common community halls for meetings, crèche, sports facilities such as cricket ground, volleyball track, basketball track, jogging track with an arrangement of parking, and have nearby shopping center for an easy life. Signature Global Sector 103 delivers a chance to live in an adobe amidst rich green scenes that come in the latest Affordable project. Grand Iva, a rich township offers you 1 BHK and 2 BHK condos of size 420 sq. ft. to 715 sq. ft. individually, with world-class offices, condition of-workmanship framework, unrivaled outlines and one of a kind offering value strategy. Grand Iva Sector 103 gives budget homes in Gurgaon and it is another significance to the term Affordable Housing. Every flat at Grand Iva depicts the absolute best originator sturdy completions and fittings, phenomenal workmanship and a wide assortment of must-have home utilities. Zara Aavaas 104 created by Zara Group, Zara Aavaas conveys to you a selective task situated at Sector 104 in Gurgaon. The task is very much furnished with all the cutting-edge luxuries and highlights. The outside and the inside of the engineering is brilliantly planned to make ideal use of the room. Zara Sector 104 has good status on the affordable flats in Gurgaon which are been extraordinarily composed with the adequate measure of characteristic light that takes after into each of the rooms. This is a venture you will be really pleased with. Move into Zara Aavaas by Zara Group for a merry ordeal of a lifetime. GLS Affordable 106 is the latest upcoming project in Sector 106 of Gurugram city. The project passes and authorized by HUDA Haryana Affordable Housing Policy, 2013. The building of GLS 106 is crafted by modern techniques and present-day plannings. The site of this project is located in a Super hot location of the city, i.e. Sector 106. GLS Gurgaon Sector 106 lies on the affordable housing projects Gurgaon is going to launch in Gurgaon. The main motto of GLS behind this project is to provide all present generation features and facilities with an unbeatable budget. Prices are declared by State Govt. that as 4000 per sq.ft. for carpet zone and 500 per sq.ft. for the bacony zone. Signature Global Solera 107 is the best property investment in Gurgaon. Also, Signature Global creates the project “Solera” for its customers comfortable living at economical prices. Further, Solera presenting 1 BHK, 2 BHK, and 3 BHK apartments in most developing ventures on the list of affordable housing projects in Gurgaon. Signature Global Sector 107 is 11 towered structural project which includes 14 floors. 950 apartments are beautifully developed in this project. Condos are well designed and so much spacious for good ventilation of fresh air. This Affordable housing Gurgaon project is so cheaper or the cost is beyond your imagination. Signature Global Solera Phase 2 is a most pleasant project in Gurgaon. It is the maker of Solera 2. Signature Global brings this HUDA homes to their clients for their peaceful living. This project is having 1, 2 and 3 BHK apartments in the favorable locality of Gurugram. 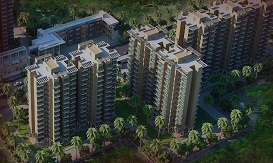 Solera 2 is situated in Phase 2, Sector 107 Gurgaon, Haryana. Signature Global Sector 107 has 5 towers and these towers have 14 floors. Condos are excellently and brilliantly crafted in the 5 towers of the building. These flats are much spacious as compare to other residential on the List of affordable housing projects in Gurgaon. All luxuries are provided by Signature Global with multiple level securities in Solera 2. OSB Expressway Towers 109 budget homes is a superior housing venture propelled by OSB Group in Sector 109, Gurgaon. These 1, 2 BHK flats on Dwarka Expressway are accessible from 376 sq. ft. to 745 sq. ft. Among the numerous extravagant comforts that the venture has been like Vaastu Compliant, Rain Water Harvesting, 24 into 7 Security, Meditation and Yoga lawn, Swimming Pool and so forth. OSB Sector 109 Affordable Housing Huda Haryana on the latest Affordable project which is beginning at just Rs 4000 for each Square Feet of Carpet Area, Condos are accessible at appealing value focuses. The Flats will be accessible available to be purchased from Rs 15.04 lacs to Rs 29.80 Lacs. Lotus Homz 111, a property at Gurgaon offers an extravagant living background with 1 and 2 room condos going from 336 square feet to 605 square feet cover zone. At Lotus, the concentration has been to shape a brilliant structure that stands the trial of time. Lotus Sector 111 is packed with solace, peace, and extravagance. It has all that it takes to give you loftiness and artfulness at this first-class address. Lotus Homz Affordable Housing Gurgaon encompassed by the sparkling scenes and best in class civilities.